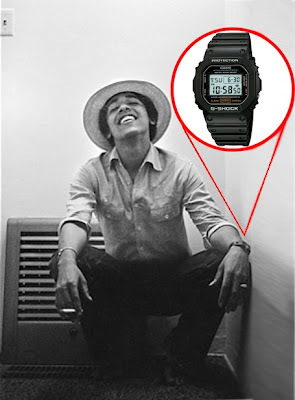 After closer inspection by ZShock Staff of this picture by Lisa Jack, of then freshman Barack "Barry" Obama, we discovered that President Obama (in our opinion)was wearing a Casio G-Shock DW5600. Mr. Todd Smith, aka LL Cool J, aka Greatest Of All Time (The G.O.A.T) said it better than we can say it ourselves. 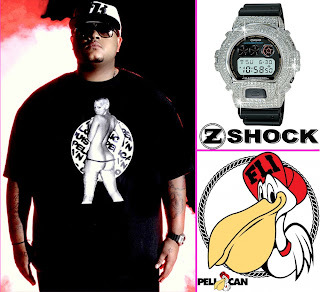 When he saw his diamond encrusted ZShock bezeled G-Shock he said "it was the ZShock App for the G-Shock watch". That's why he is the Greatest Of All Time. The lyrics just flow naturally. Another display of real ballers keeping a diamond G-Shock in their collection of boy toys. ZShock Props to Drake & Wayne For This One! Can you spot the ZShock in this video? Black is beautiful! This saying is on point when referring to the new Centurion Collection of Black Diamond G-Shocks by ZShock. The Centurion Collection recently launced at ZShock and are available in different watch, stone and metal options. Get "Blacked" out today and see why real ballers keep a diamond G-Shock in their collection. Another great joint from FAB. Gotta give it to him, he's one of the cats that rarely disappoints. At least this is a real video and not some green screen ish. Flipelican, the "Fli" apparel line, recently had a photo shoot featuring Aaron Reid and the release of their limited edition From Amber Rose With Love tee shirt. An iced out G-Shock by Zshock is what A.R. chose to where for the pictorial. Flipelican Clothes are available at http://www.theflipelican.com. 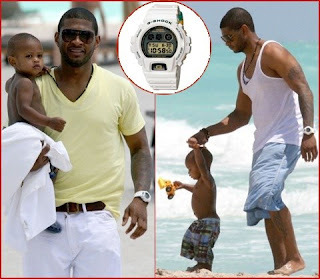 One of the largest R&B singers of all time, Usher Raymond, is seen here G-Shockin while walkin on the beach with his son. Usher keeps a G-Shock in his collection of boy toys, for the fun of it. The star linebacker for the Miami Dolphins, Channing Crowder, is seen here in this video ZShockin and chillin at a golf course in beautiful South Florida. What watch is he wearing? Yes, this pro baller has a diamond G-Shock by ZShock in his collection, ZShock's Premier Genesis to be exact. Keep an iced out G-Shock by ZShock in your collection, for the fun of it. 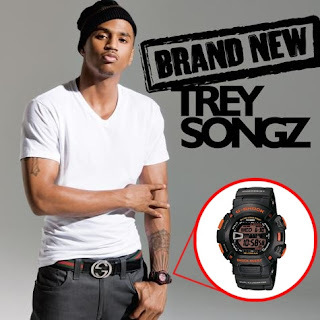 Trey Songz be G-Shockin. Seen here sportin a G-Shock Mudman. Keep a G-Shock in your collection, just for the fun of it.